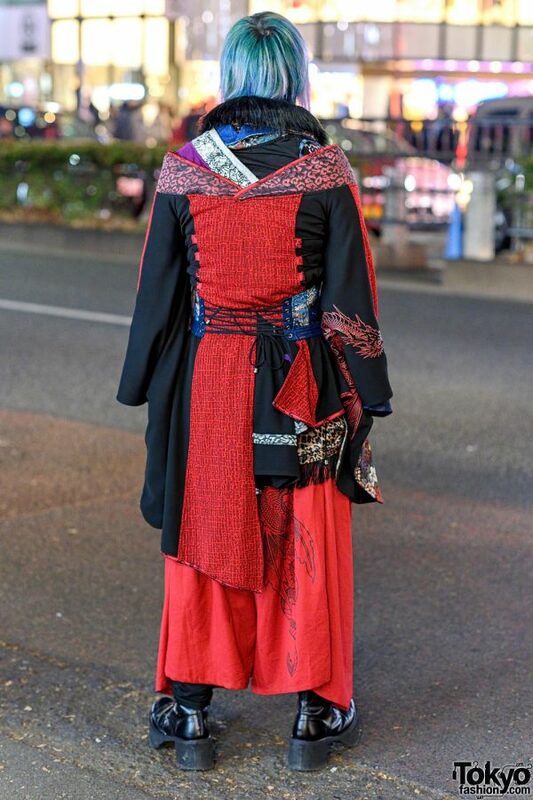 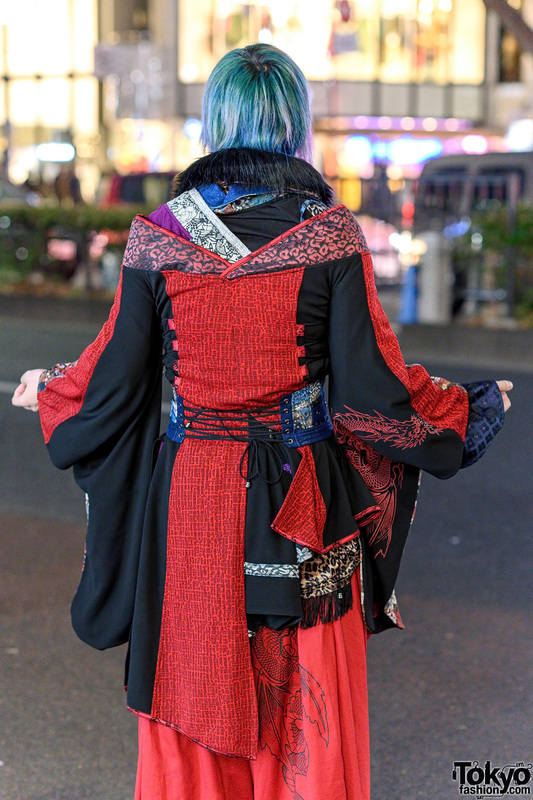 While out for a walk on the streets of Harajuku, we met Desuko, an office worker whose eye-catching kimono style made him a standout on the street. 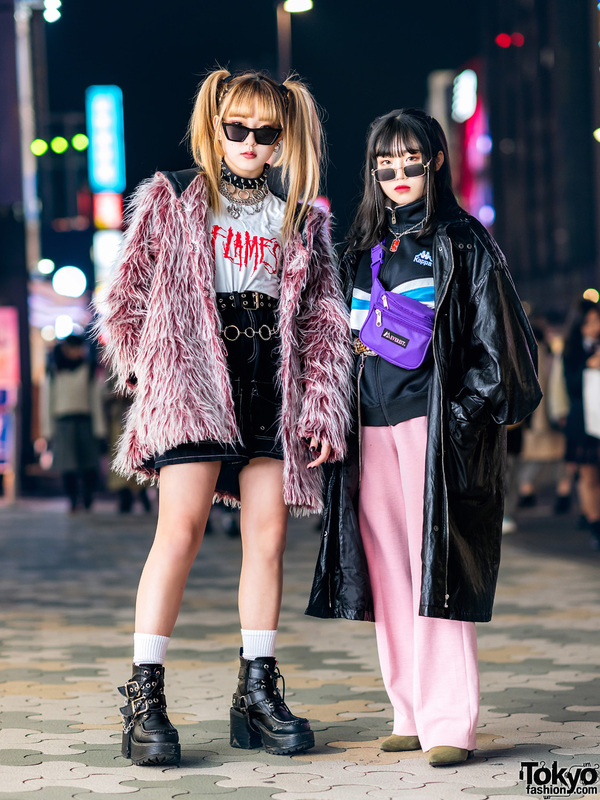 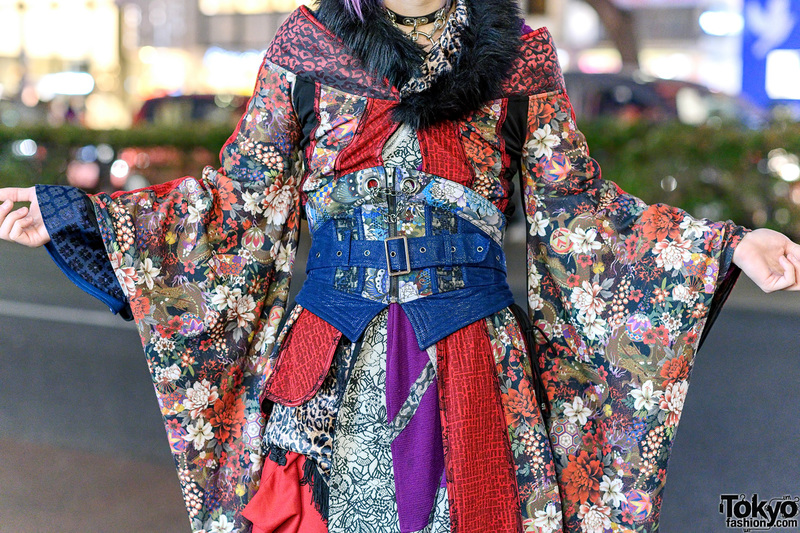 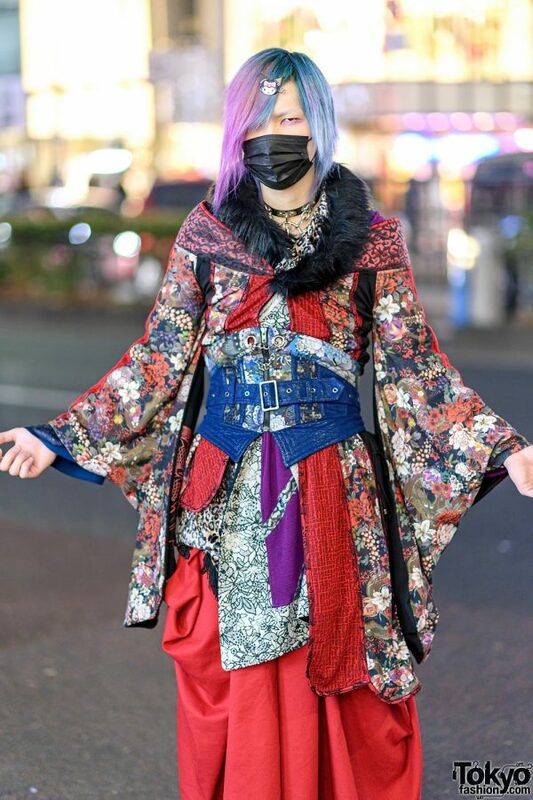 Sporting a pink-and-blue asymmetrical bob, Desuko stepped out in a multi-print kimono style coat from Qutie Frash, which features red and black panels, floral print trims, a scalloped hem and flared sleeves. 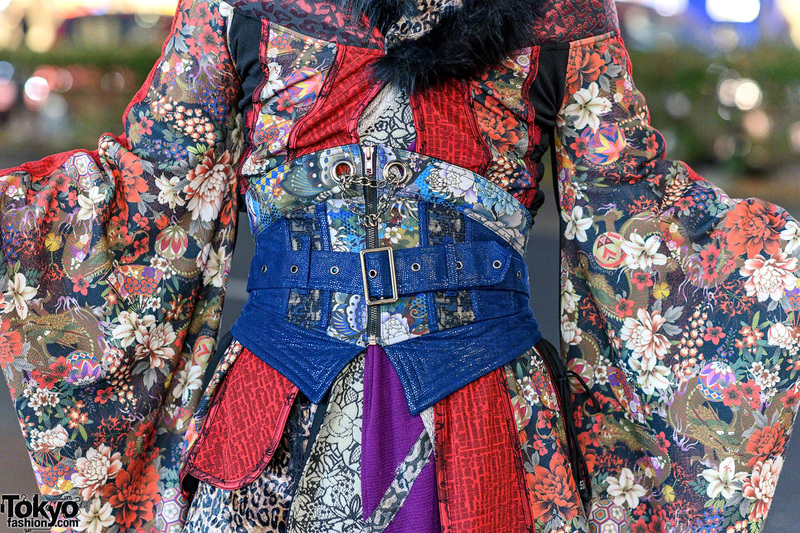 He wore the kimono over layers of multi-print kimono tops, one of which has a black furry collar. He cinched his layered tops with a blue floral print corset belt, which features grommets, a zip-up front, silver chain trims and a lace-up back detail. 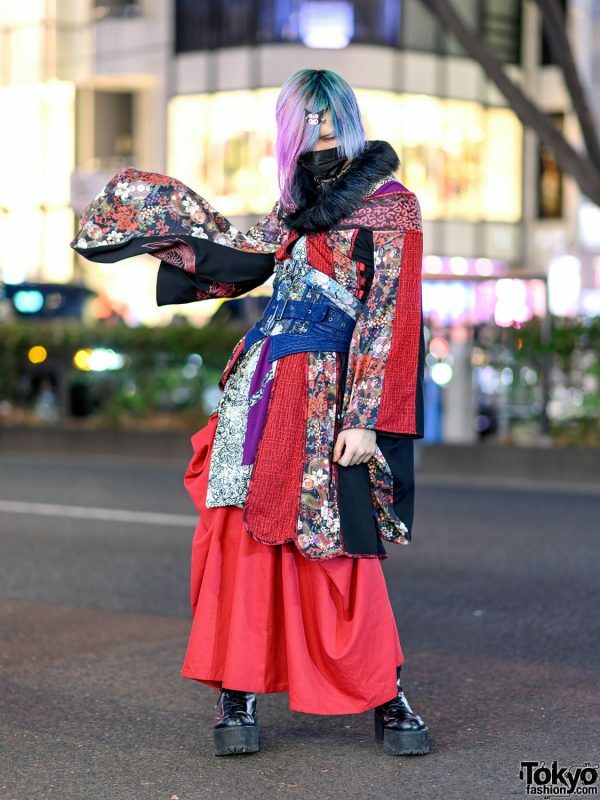 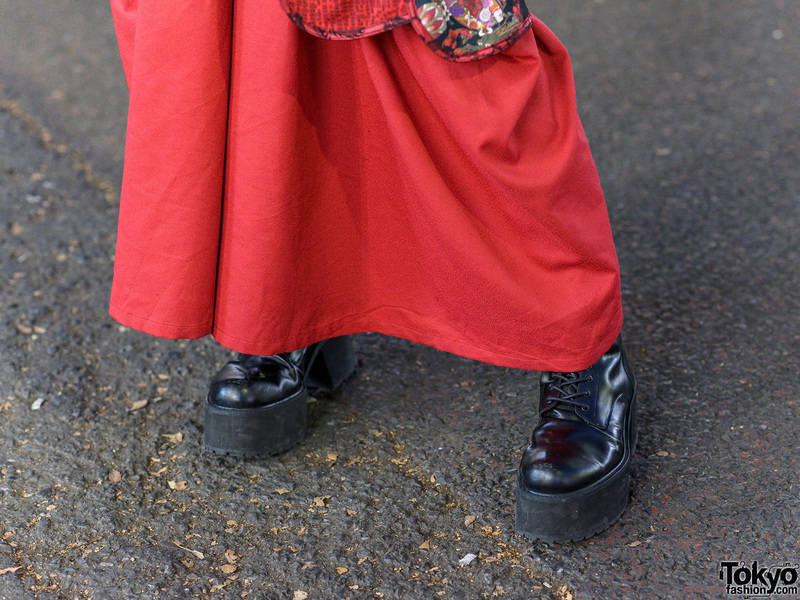 Desuko finished off his look with red wide leg pants from Qutie Frash, and stepped into a pair of black platform heeled boots from Civarize. 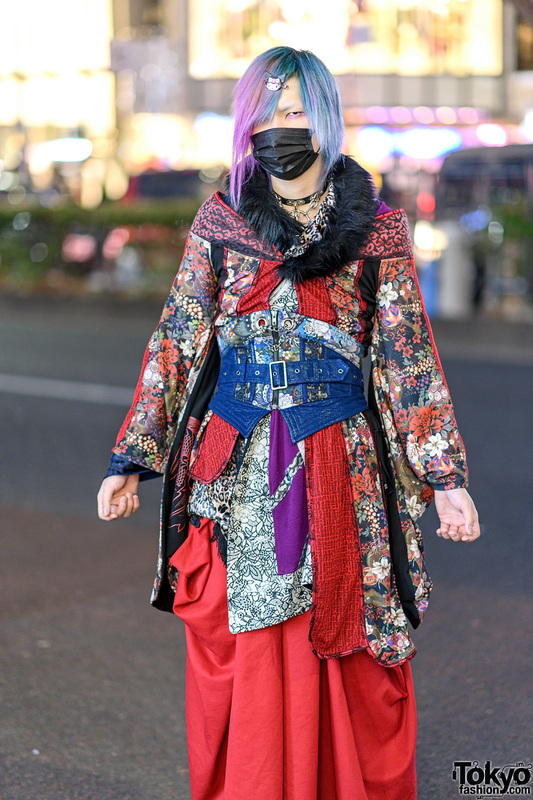 A hair clip, black face mask, and a leather o-ring choker are the finishing touches to his street style. 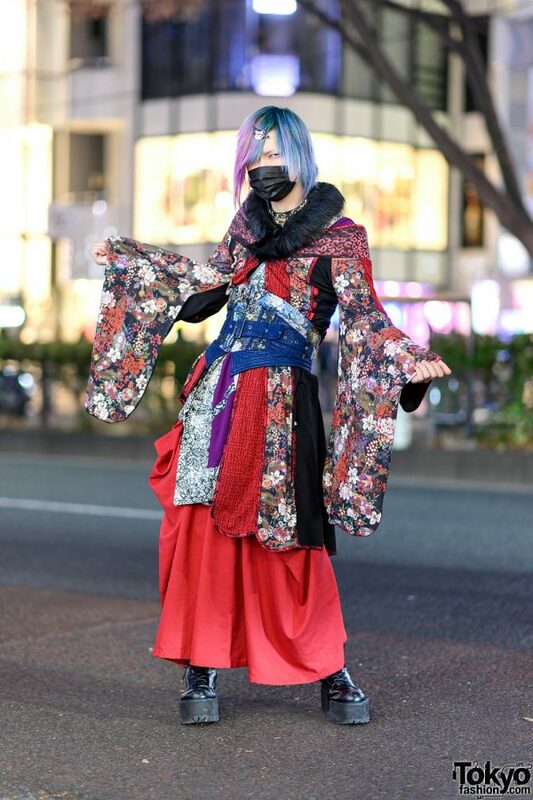 For more on Desuko, follow him on Twitter.